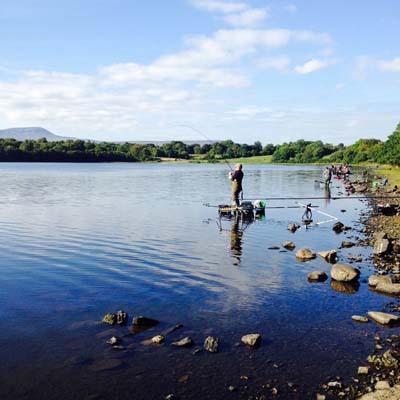 The Lakelands and Inland Waterways World Pairs Angling Championships, Ireland’s most prestigious coarse angling event is now open for entries. The event attracts anglers worldwide to fish the natural wild angling available in Ireland’s prolific angling destination of the Lakelands. The area renowned for its extensive waterways is based on the Erne system, the Shannon-Erne Waterway and the majestic Shannon Navigation. 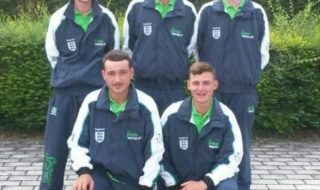 Failte Ireland and Waterways Ireland continue to sponsor the World Pairs which has been prominent in its contribution to highlighting Ireland’s magnificent coarse angling and increasing the number of anglers fishing in Ireland in recent years. The partnership under the banner of Lakelands & Inland Waterways will provide €15,000 and the lion’s share of the magnificent prize pot with additional funding from partners Fermanagh-Omagh District Council, Leitrim County Council and Cavan County Council. 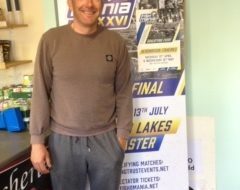 Éanna Rowe Co-Chair of Lakelands & Inland Waterways “”the Lakeland & Inland Waterways World Pairs has shone a spotlight on the high quality and large quantity of wild fish challenging all anglers coming to Ireland’s Lakelands. The competition has sparked a huge level of international interest and it is wonderful to see that reflected in the numbers booking from abroad for the 2015 competition and the resulting tourist numbers coming into the Lakelands.”There are no qualifiers – entry is open to anyone – just find a partner and get ready for some fabulous fishing in the scenic lakelands! To attract those of all abilities the event incorporates the DAIWA Cup an individual entry competition running inside the Pairs with a full entry payout providing cash for 5 peg sections, daily by county and a top ten overall topped up by a massive £8,500 in tackle vouchers from DAIWA Sports Ltd. This year the event will again open in Ballinamore, Co. Leitrim on Sunday 6th September and will close with a Grand Presentation in Enniskillen, Co. Fermanagh on Friday 11th September. The three key hubs for those seeking accommodation will be Enniskillen, Co. Fermanagh, Ballyconnell, Co.Cavan and Ballinamore, Co. Cavan with draws being held in each providing easy access for those in the surrounding towns and villages. Get your location right and there should be no more than 35 minutes drive between the hubs. The venues for this years’ event will include some proven favourites and hopefully some new stretches on known waters. 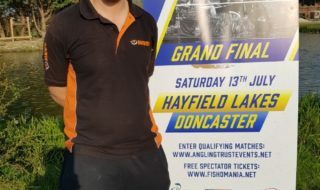 DCAL Fisheries and Inland Fisheries IFI will continue to support the competition by providing professional stewarding services and bio-security checks on the ground with DCAL sponsoring license fees for the Northern Ireland venues for the duration of the event allowing for some practise time too. The massive prize fund makes it the richest coarse match in Ireland and topped up with tackle, vouchers and some Bait-Tech products its an event worth crossing the water for! Entry costs remain the same for 2015 with all sponsorship attributed to the prize fund and entry fees covering running costs.